Judy Murray has reignited one of Scotland’s oldest debates after her Scottish banknotes were rejected in a London cake shop. The tennis coach and mother of Andy Murray took to Twitter to reveal she had been turned down by the bakery while trying to buy doughnuts because they “only take British” banknotes. This led to many followers arguing that Scottish notes were in fact “legal tender” which could be used across the UK, but this was disputed by The Herald. Ferret Fact Service looked at this claim and found it True. Debates over Scottish banknotes have been going on for many decades. Numerous articles have recounted situations where Scots have had cash rejected in other parts of the UK, and the issue has even led to a bill at Westminster presented by David Mundell. The appropriately named Scottish Banknotes (Acceptability in United Kingdom) Bill would required businesses not to make a distinction between Scottish and other banknotes as acceptable payment. It did not make it to law. The crux of the issue with Scottish banknotes is what ‘legal tender’ actually means. While it is often used to mean money that is legally allowed to be used and as such should not be rejected, legal tender actually has a fairly narrow definition which is more to do with settling debts and has no bearing on whether a note should be accepted in a shop. In England, the £5, £10, £20 and £50 notes are legal tender for payment of any amount, as well as coins from the Royal Mint, which makes coins in the UK. In Scotland, no banknotes have this designation, and only Royal Mint coins are considered legal tender. Coins up to 50p have a limit to the amount of debt they can be used to repay. This means that Scottish banknotes are not, by this technical definition, legal tender in England (or Scotland). However, they were briefly afforded this status during the first world war, as the UK government tried to expand the use of paper money across the country. Scotland had adopted the use of banknotes before the rest of the UK, and as such had many more notes in circulation. They are, however, legal currency across the UK, as they have been approved by the UK parliament as a form of currency. Bank of Scotland, Clydesdale Bank and Royal Bank of Scotland are allowed to issue their own notes in Scotland. Where it becomes more complex, is when Scottish banknotes are rejected by certain businesses in the UK. Every business has the right to accept whatever form of payment they decide. This means any shop or company can reject money in any format if they wish. A banknote acts as an agreement between the buyer and seller, but has no legal right to be taken. The Royal Mint says “both parties are free to agree to accept any form of payment whether legal tender or otherwise according to their wishes”. Scottish banknotes are not legal tender in England, or Scotland. The term refers to repayment of debts and has little relevance to everyday transactions in shops, and only coins are counted as legal tender in Scotland. 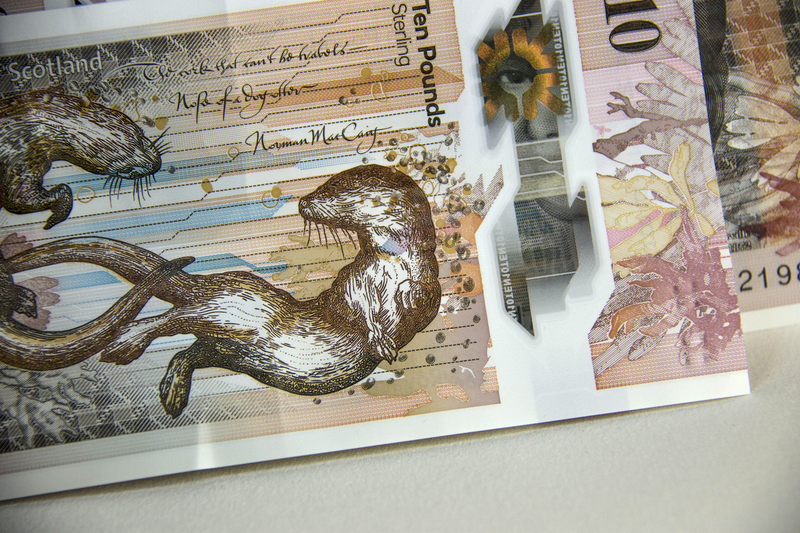 While Scottish notes are legal currency across the UK, there is nothing to force any business from accepting notes of any type, though use of banknotes is an accepted convention.